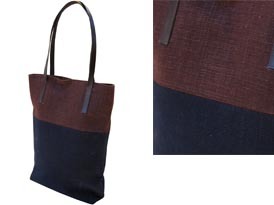 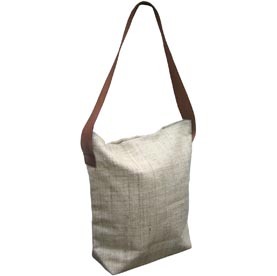 Hemp Bags and shoulder bags wholesaler offering handmade hemp handbags with cow leather handles. 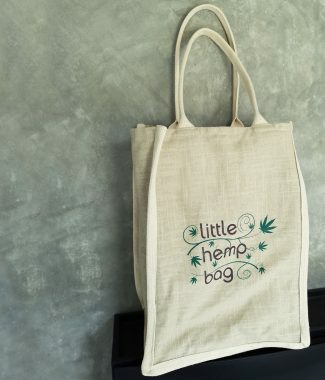 Big Hemp Shoulder Bag. 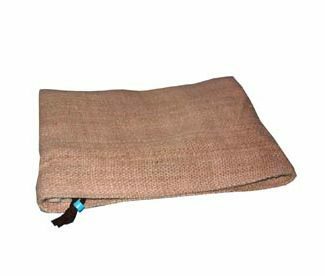 Wide cow leather handle to hold the hemp bag with comfort on the shoulder, zippered closure, zippered case inside. 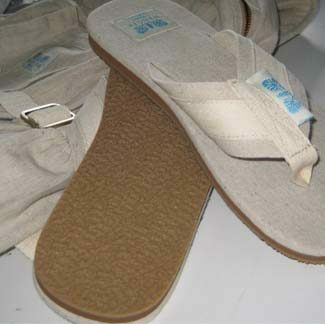 Modern form and design.